Wolves may have been extinct in the UK for more than 300 years, however the animals may be making a comeback (in captivity, at least). 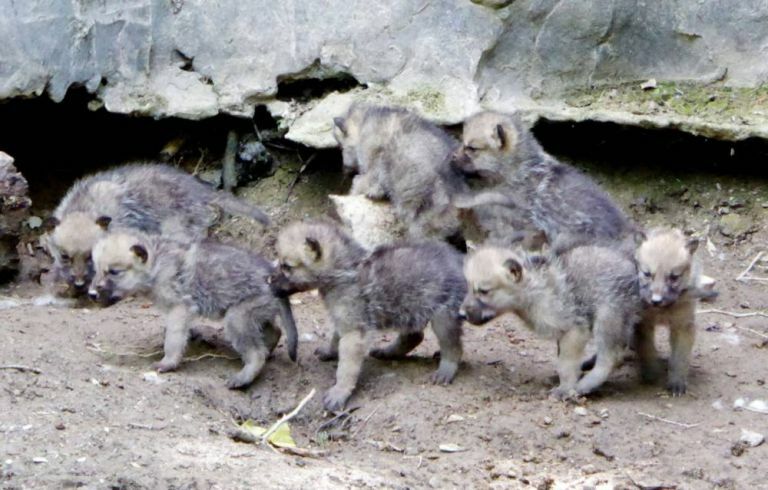 A litter of Hudson Bay Wolf cubs has just been born in a Devon wildlife park, believed to be the first of their kind in the UK. Proud Mama Naira and father Maska have been looking after the seven pups in the Combe Martin Wildlife and Dinosaur Park in Ilfracombe where they were born. Park director Dawn Gilbert said: ‘This is a rather large litter for a first time mum. The average litter size is between four and six and not all of them generally survive. 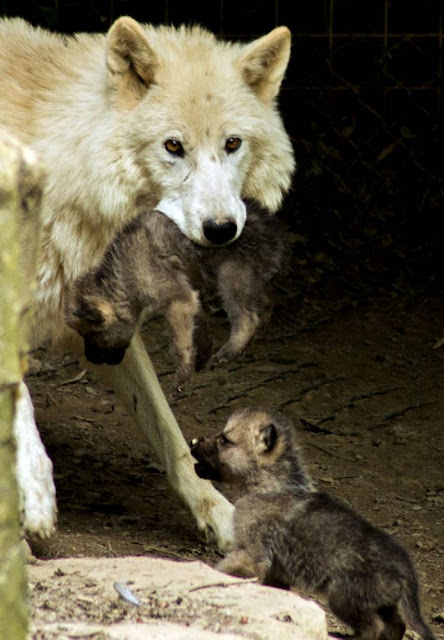 While other Hudson Bay Wolves live in captivity at a wildlife park near Lincolnshire, this is the first time wolves of this type have been born in the UK for several centuries. The animals’ natural habitat is in Canada and Alaska and the park said it was unknown how many are left in the wild. The last one was thought to have been shot in the Scottish highlands in 1680. Responses to "First wolves to be born in Britain in 300 years"
My paternal lineage is from Cornwall; And, I am so pleased that these wolfies are re-establishing the spirit of Wolf back in the UK! wonderful! but this time around,.......Leave em' alone!!! For the love of God please don't release them into the wild. With Cameron's attitude to Foxes, Badgers and now Beagles bred for experiments the wolves would be dead within a year. awesome...and thank you...this is really neat!!!!. such a fantastic sight! 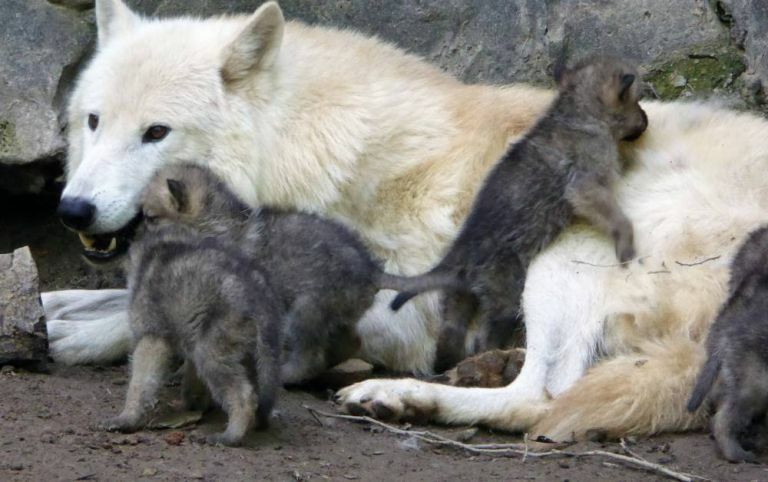 please, bring the wolves back to the UK!